Administrative Assistant: Grande Vitesse Systems is currently seeking an organized, detail oriented, and experienced individual with excellent communication skills for a full or part time Administrative Assistant position. 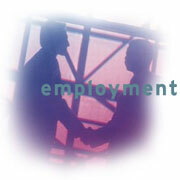 Duties will include the following: reception, phones, typing (data entry), sales support, bookkeeping and clerical tasks. Candidates for this position should have experience working with Macintosh computers and be willing/able to learn. Prior bookkeeping experience is a plus. Internship: GVS's internship program, as an intern at GVS , you have the opportunity to work on the most exciting products and brightest pepople in the industry. Career-related work assignments are part of every internship we offer. At GVS we provide you with the opertunity to challenge your yourself constantly. Mid Level Technician: Grande Vitesse Systems has an opening for Mid Level Technicians to perform (primarily) System Administration tasks on the Mac and PC platforms. Duties will include the following: To install operating systems, applications, and utilities. To troubleshoot Mac and PC technical issues. To research and establish resources for information to apply to said troubleshooting. To be able to run 'system checks' and utilize anti virus and diagnostic applications. To replace faulty hardware and restore software. To understand and implement backup and restore procedures. Applicants should be quick learners, have good problem solving skills, and sound organizational and communication skills. Some experience is necessary. Senior Level Technician: Grande Vitesse Systems has an opening for Senior Level Technicians to perform (primarily) System Administration tasks on servers (to include enterprise level). Duties will include the following: Install and update different Systems, Applications, and Utilities. Perform basic troubleshooting of server HW and SW. Ability to search different resources for information on troubleshooting HW and SW. Be able to run file system checks and diagnostics on systems. Handle remote monitoring of systems using dial-up, telnet, and other resources. Replace faulty hardware and restore software (in-house or on-site). Have an understanding of basic UNIX operating systems. Have an understanding of and be able to implement backup and restore procedures. Scripting experience in ksh, csh, and other shell command interpreters is desired. Programming experience in Java, Perl, and other languages is a plus. Applicants should be quick learners, have good problem solving skills, and sound organizational and communication skills. Marketing Assistant: Entry level marketing position available for the right person. Applicants must be organized, highly motivated, and have excellent verbal and written communication skills. Some experience in marketing (writing press releases, copy, product announcements, Etc.) preferred. Familiarity with PhotoShop, Illustrator, and QuarkXPress is a plus. Purchasing Agent: 1-2 years experience in system and component level procurement. Experience with high-end systems and components preferred Good vendor relations and aggressive price-cutting strategies are important. The job entails overseeing the production department from purchasing to shipment and/or installation. Candidates must be highly organized and excellent communicators. Responsibility: This staff position in our sales division is responsible for the acquisition and development of new business through personal prospecting; the follow-up of leads generated from trade shows and GVS marketing activities and the cultivation of new business from existing clients. Experience: The successful candidate must have 3+ years of direct sales experience in the computer industry; (references required). A BS/BA degree is preferred, but this requirement may be offset by additional years of applicable sales experience. Skills: Candidate must be conversant in computer related areas relative to solutions for SAN, NAS, co-location; digital media experience is a plus. Must be able to engage and consult with prospects and clients to sell appropriate GVS solutions. Requirement: Successful candidate must commit to development of a working knowledge of GVS products and solutions in accordance with timelines established by the GVS sales department. This includes participation in required product training programs. Compensation: This includes a base salary and a scalable commission schedule. Grande Vitesse Systems has more than a decade of successful business experience. The Board has determined that the companys experienced support staff, expanded benefits programs, and developed infrastructure can now support additional sales staff with the objective of growing the companys sales revenue, company profit and employee reward. GVS has an extremely price competitive purchase arrangement with vendors and with our specific product designs in hardware and software solutions provides the candidate with the essential tools required to establish successful business relationships. GVS sales personnel benefit from excellent client references ranging from Fortune 100 companies to creative, entrepreneurial people working in the industry. We are seeking sales candidates in our market locations in Chicago, Los Angeles, New York and San Francisco to help us establish dealers and partner channels. Submitting Resume to GVS by our web site.